I had the pleasure to attend the Human Anatomy and Physiology Society (HAPS) annual meeting in beautiful Salt Lake City from May 24-28, 2017 on behalf of AAA. My session was on the evolution of the facial muscles and of facial expression in primates, including humans. This talk included new perspectives that try to contribute to a broader understanding of human evolution and anatomy, including systems biology tools such as the use of networks to study anatomy: Anatomical Network Analyses. Accordingly, the second part of the talk was framed in a broader discussion of how biological evolution is now seen by evolutionary biologists and in particular in Evo-Devo. This part of the talk was particularly focused on the HAPS audience, because one of the goals for many people involved with the teaching of anatomy is to include an evolutionary framework within the understanding of the human body. Evolutionary medicine is an example of this new direction. However, the problem is that there is a significant gap in the way that most human anatomy teachers, as well as most researchers who are interested in evolutionary medicine, teach/discuss evolution and what we now know about biological evolution. The strongly adaptationist framework under the vision that evolution leads to the survival of the fit resulting mainly from a constant and selfish struggle has been increasingly criticized and contradicted by recent studies showing a much more predominant role for niche construction, randomness, constraints, altruism and cooperation, for instance. In this sense, I was very glad with the reactions that this talk had, and with how open HAPS members were to these new ideas from fields that are in general so disconnected - unfortunately - with anatomy, and particularly with the teaching of human anatomy. Many teachers told me they would incorporate thoughts about this more nuanced way of seeing biological evolution in their courses. In particular, I was also impressed with the hierarchical way in which the HAPS is organized, with the president and organizers completely mixing with all the other members in a very healthy, egalitarian way. This was therefore one of my most pleasant experiences in a scientific meeting, and I thus decided to continue as a member of this special society for the remainder of my career. I would therefore strongly recommend AAA members to become closer, and if possible attend the meeting, of HAPS, in the future, and I deeply thank both the AAA and the HAPS for making this experience possible. Our close colleague Magda from University of Kentucky came to dissect fetal primate specimens with some people from our lab for our NSF grant on the idea that muscles, more than guts, paid the price for the evolution of our large brains. (The animals had perished from natural causes and were acquired in compliance with HU policy). GW PhD Student Vance Powell helped out with the dissections. Congratulations to Malak Alghamdi, a PhD student in the Diogo lab, for her paper on the untold story of the contributions of Muslim scholars to the discovery of human anatomy (Alghamdi, Ziermann, Diogo, 2017). An article published in Scientific Reports by Rui Diogo, post-doc Julia Molnar, and Bernard Wood (George Washington University) reveals that the musculoskeletal anatomy of bonobos may best represent that of the common ancestor of bonobos, chimpanzees and humans. The study was covered by numerous news outlets, including CBS News, the Post Online, and Nature World News. Professor Rui Diogo has been chosen by the American Association of Anatomists to represent that organization at the 2017 meeting of the Human Anatomy & Physiology Society. 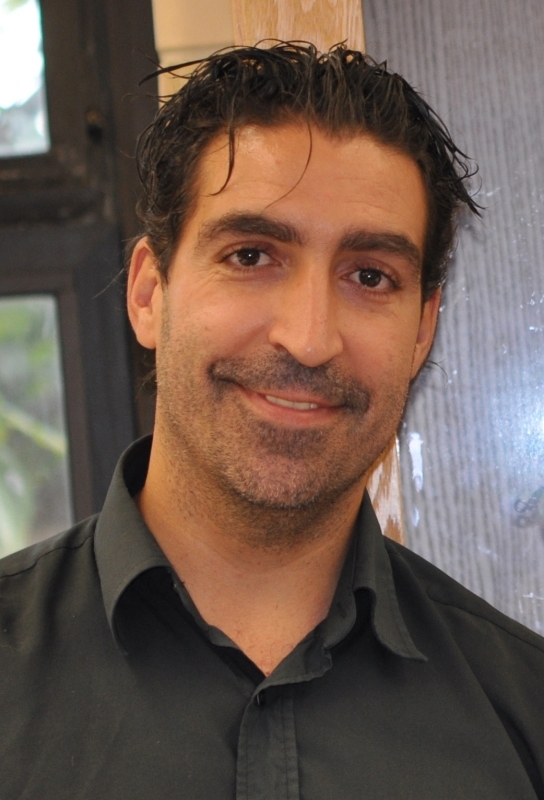 Dr. Diogo's presentation will focus on the evolution of the face. Evolutionary Medicine has become a flourishing field bringing together evolutionary biology and medicine. Interestingly, macroevolutionary patterns/processes, as well as anatomical malformations and variations, have been less discussed, despite their crucial importance for medicine and the importance of evolutionary - in particular macroevolutionary - theory to understand them. Fortunately, Evo-Devo had a renewed interest in Evolutionary Developmental Pathology (Evo-Devo-Path) in the last decades, studying developmental anomalies and variations within an macroevolutionary framework to better understand human malformations and variations with new techniques and approaches. The symposium will provide an brief historical background on this subject - including authors as e.g. Étienne Geoffroy Saint-Hilaire, Waddington, Goldschmidt, Gould and Per Alberch - and then discuss recent case studies, from human limb defects such as non-pentadactyly to head defects such as cyclopia and those related to DiGeorge Syndrome and trisomies 13, 18 and 21, focusing on the links between normal and abnormal development, homeostasis, canalization and macroevolution. In particular, there are logical and predictable patterns even in severe cases of malformation, enabling a more comprehensive knowledge of birth defects and variations and the improvement of practical medical procedures dealing with them, e.g. related to prenatal detection and postnatal procedures such as musculoskeletal surgeries. Congratulations to Malak Alghamdi, a PhD student in the Diogo lab, for her paper on the untold story of the contribution of muslim scholars to the discovery of human anatomy (Alghamdi, Ziermann, Diogo, 2017), which was just published in the Anatomical Record. Malak's work was featured in a key article in February's 2017 newsletter of the American Association of Anatomists. Howard Associate Professor Rui Diogo and two postdocs of his lab, Julia Molnar and Borja Esteve-Altava, together with Peter Johnson from Auckland University made a remarkable discovery that changes the way the evolution of our limbs has been seen for centuries. This discovery was published in the end of November in the prestigious journal Scientific Reports, from the renowned Nature group. Until now, scientists have assumed that the transitions from the configuration of the soft tissues of the limbs (including tissues such as muscles) of tetrapods (amphibians, reptiles and mammals) were dramatically different from their fish ancestors. That is, it was assumed that there was a sudden, paramount change from fins to limbs. 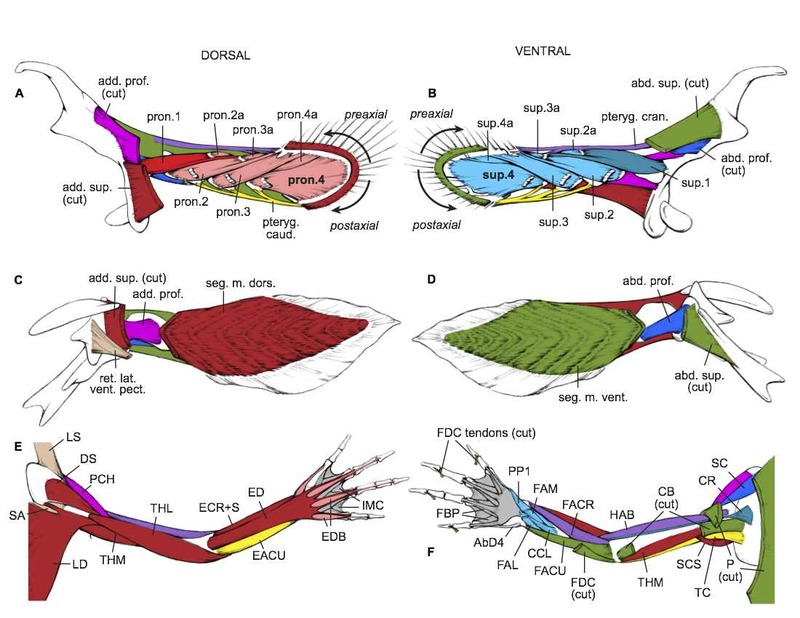 By undertaking dissections and MRI scans of the extant fishes that are more closely related to tetrapods - lungfish and coelacanths - these researchers re-examined the soft tissue anatomy of these fishes. Strikingly, their results, combined with previous data from studies of other living animals and of fossils, have shown that the characteristic configuration of the muscles and bones of tetrapods was already present more than 400 million years ago, in fishes. The only exception is the hand and foot structures, which have no clear correspondence with fish structures. This discovery therefore shows that one of the major changes in animal evolution, the transition from fins to limbs, was actually a gradual, very slow process, and not a sudden, dramatic evolutionary step, as previously assumed. This exciting discovery has therefore major implications not only for evolutionary biology in general and the origin of our limbs in particular, but also for a better understanding of the ecology and way of life of our closest fish relatives. Dr. Diogo was chosen by the American Association of Anatomists to be its representative at the Human Anatomy and Physiology Society conference in May, 2017 in Salt Lake City, Utah. He will speak to the conference's theme, "Developmental and Evolutionary Bases of Anatomy and Physiology." Just released: a new medical anatomy textbook by current and former lab members Rui Diogo, Julia Molnar, and Christopher Smith, plus noted researchers Drew Noden and Julia Bougher and illustrators Joana Bruno and Claudia Barrocas. Understanding Human Anatomy and Pathology: An Evolutionary and Developmental Guide for Medical Students provides medical students with a much easier and more comprehensive way to learn and understand the gross anatomy and variations of our body by combining, for the first time, state-of-the-art knowledge about human anatomy, evolution, development, and pathology in one book, synthesizing data that would normally be available for students only by consulting several books at a time. This Prize is awarded by the Anatomical Society's Prizes and Awards Committee, on the recommendation of the Editors-in- Chief of the Journal of Anatomy. Congratulations to all the authors! 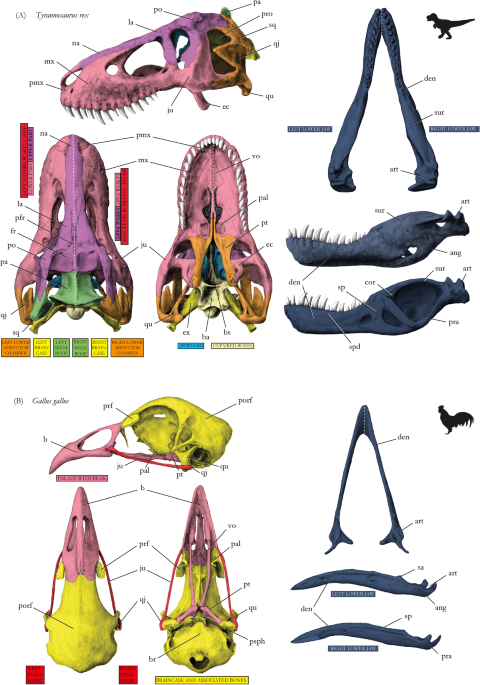 Post-doc Julia Molnar, with colleagues John Hutchinson, Stephanie Pierce, Bhart-Anjan Bhullar, and Alan Turner described morphological and functional changes in the vertebral column with increasing aquatic adaptation in crocodylomorphs (Royal Society Open Science, doi 10.1098/rsos.150439). Their results shed light upon some aspects of the evolutionary history of these under-appreciated archosaurs. Copyright © 2019 RUI DIOGO LAB. All Rights Reserved.